A pet food product is only as good as its ingredients. Although your company likely spends a lot of time formulating the perfect recipes, researching consumer demands, and exploring marketing opportunities, your product will never be successful if you don’t take time to carefully sift through potential pet food suppliers. Not only will the suppliers vary in customer service and purchasing convenience, but they will also offer ingredients that differ in quality, health, and functionality. To create the best product possible, you will need to diligently compare all of your potential pet food ingredient suppliers. Do they offer exceptional customer service? When you contact the supplier by phone or e-mail, they should respond promptly and courteously. Their customer service representatives should willingly answer all of your questions and appease your concerns. Once you start ordering ingredients from the supplier, they should ship the items quickly and respond to any issues that arise with politeness and punctuality. Finally, the process for placing orders and making payments should be simple and convenient. Are their ingredients functional and cost-effective? A supplier will be of no use to you if they don’t offer ingredients that are functional and affordable. Analyze your current costs, decide what you can afford to spend, and determine exactly what functions you need your ingredients to provide. For example, would it be beneficial if your protein source could also bind ingredients together and improve upon the pet food’s texture? If so, you might be interested in exploring the functional and financial benefits of egg products. Are their ingredients made from high-quality and nutritious sources? Just as a pet food is only as good as its ingredients, an ingredient is only as good as its source. 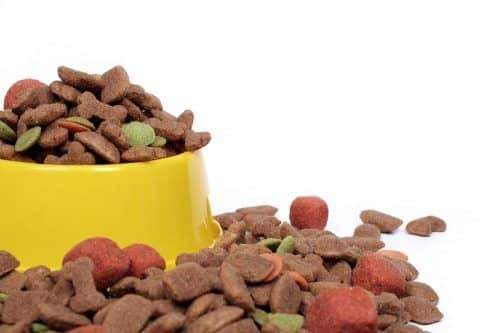 A high-quality ingredient won’t just improve the health and taste of your pet food, however; it will also offer marketing opportunities, because consumers are always seeking out high-quality, healthy products for their beloved dogs and cats. Can you customize their products? Finally, in some cases, your pet food might benefit from a customized ingredient. If this option interests you, scope out pet food ingredient suppliers that will allow you to adjust the content or functionality of their ingredients. For example, you might wish to adjust the protein, fat, and ash content of a dried egg product. Take your time as you sort through potential pet food ingredient suppliers. Finding a supplier that will support your company and provide excellent ingredients is worth the time it takes to research your options. In addition, remember that if you find the right supplier, you could be planting the roots for a long, fulfilling, and mutually beneficial relationship. Finally, if you’re interested in nutritious and protein-rich pet food ingredients, be sure to check out IsoNova. Our dried egg products offer a variety of beneficial components including anti-microbial lysozyme and immune-boosting Immunoglobulin Y. Plus, our innovative extraction process allows you to customize the egg products to suit the needs of your formulation. To discover how our products can complement and enhance your pet foods, please contact IsoNova® today.